Prime Minister Modi commenced his innings in 2014 with characteristic flamboyance by inviting heads of all SAARC governments- including Pakistan – to his inauguration. This followed Kautilya’s Rajmandala maxim, which accords primacy to the innermost mandala – immediate neighbours. A whirlwind tour of world capitals then ensued to secure India’s interest with key nations – 93 visits till Jan 2019 – many nations multiple times. These had served to raise our international profile, while our huge domestic market and rapid economic growth had significantly enhanced our influence and international leverage. Our centrality in securing SLOC in the Indo-Pacific region was recognised and we were seen to be facing up to Chinese belligerence together with major players like US, Japan & Australia – the Quad came into being. However, we flinched from holding Quad-level naval exercises, fearing the Dragon’s reaction. Such vacillation and pusillanimity have characterised recent foreign policy, but have become more fickle in the last five years. This exposes the absence of a clear strategic vision as also diffidence in taking hard decisions. Nepal. Dealing with our neighbours, which started on a note of such high aspirations for peace and prosperity, has turned sour. On 3rd Aug 2014, Mr Modi went to Nepal hailing its Hindu identity and announced a very generous aid package including $1 billion credit; a joint hydropower project; an India-funded Police Academy; more direct bus links etc. A year later however, when Nepal tabled its new constitution, the Madhesis in the Terai adjoining India, protested their inadequate representation in the statute. They enforced a blockade that impacted imports not only of petroleum, but also medicines and earthquake relief supplies from India. The widespread perception in Nepal that this was India-instigated to support the Madhesis’ demands, transformed our image from friend to wily foe. Hence, election of a strongly pro-Chinese PM was ensured. In Sep 2014, Xi was invited to India and came to Modi’s home state on his birthday,– but with an unwelcome gift – intrusion of Chinese troops into Chumar near Pt 4991 which controlled access to the whole valley. This gave an early indication of the trouble ahead. After Modi intervened with Xi, the latter told him that they have been asked to go back. No explanations were forthcoming about why they had intruded in the first place. Clearly relieved, we baulked at asking this basic question. The next face-off was more serious. 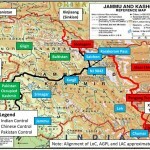 On 16 Jun 2017, Chinese troops attempted to construct a road into a disputed area of Bhutanese territory, which would pose a serious threat to India’s strategically vulnerable Siliguri corridor. We persuaded Thimpu to protest the Chinese intrusion and in response, the Indian Army faced down the Chinese for 74 days. The standoff ended with a Chinese loss of face on 28 Aug 2017. But before winter set in, they had built permanent barracks for a brigade-equivalent force with light armour, supported by a black-topped road, nearby helipads and other requisite infrastructure. Bhutan refrained from any comment after their initial protests, caught as they are between a rock and a hard place. But once the Chinese stopped road construction, India stepped back. We were so relieved that threat to our vulnerable corridor had subsided, that we did not spare a thought to the continued Chinese occupation of Bhutanese territory. This has tested our long-standing friendship with the Himalayan kingdom. Bhutanese still remember when we abruptly withdrew subsidy on cooking-gas and kerosene, ostensibly to rebuke PM Thinlay who was seen cosying up to the Chinese. Recent elections brought to power the opposition DNT which stood for a more independent foreign policy – neutral between the two giants. For China, the doorway to Bhutan now has a small opening. The first shock to our internal stability was administered by the Nov 2016 Demonetisation (DeMo). As feared, India’s growth suffered a 2% drop, and our economic vibrancy was seriously affected. This was worsened by the clumsy, counter-productive GST diktat. Had the GST implementation been good and simple, it certainly would have mitigated the ill-effects of DeMo. Instead it crippled economic recovery and we lost our shine as an investment destination. At the end of 2018 the richest 1% Indians owned 52% of national wealth while the bottom 60% held less than 5%! Also, the Centre for Monitoring the Indian Economy, reported that 1.1 crore jobs were lost in 2018. Hence our demographic dividend is now a demographic disaster. Its impact is already being felt across the nation, with rampaging gangs of unemployed – and unemployable – youth committing dacoity, gang-rapes and extortion on various pretexts specially cow- vigilantism. 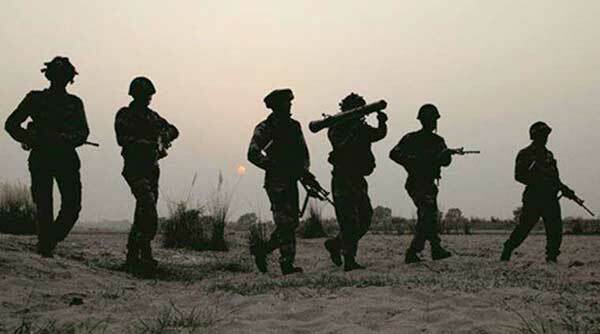 Another serious impact was curtailing the Defence budget to 1.52% of GDP; thus leaving the Forces with grave deficiencies from basic weapons like rifles to fighter-jets and submarines. The irony is that terrorists in the Valley have long had superior small-arms. So, when terrorists started using sniper rifles, the Northern Army Chief was compelled to utilize his emergency powers to buy similar rifles, but for only select personnel in a few units of his Theatre. China envisioned its place as a leading world power as far back as 1963 when Zhou Enlai first articulated ‘the four modernisations’. As China unleashed its spectacular growth and rising military strength, Deng Xiaoping advised the leaders to keep a low profile (tao guang yang hui). Even so, China’s cross-hairs remained fixed on its aim. When India bounced back from the subprime crisis with 8% growth in 2009-10, it was viewed as a potential super-power, capable of holding its own against China. Today, China’s meteoric rise is challenging the USA’s military might, while it is already a world-beater in several new- age technologies. India’s early promise has only flattered to deceive and today we are not even in the reckoning. 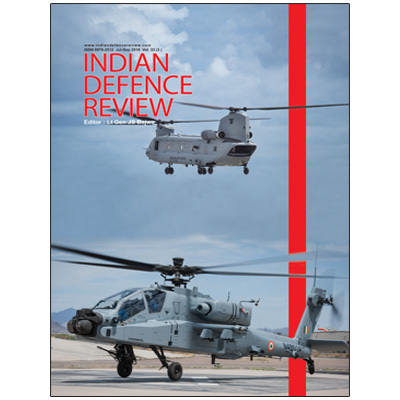 India’s recent relationship with China has been troubled by Chinese intransigence on a number of key issues – obduracy on the border-issue; thwarting India’s NSG bid; building the CPEC that intrudes on our sovereignty and finally the Doklam intrusion. Lately the US trade war has started hurting China. Hence our overture of the Wuhan summit was readily accepted and the vitriolic rhetoric in Chinese media was turned off. The summit covered all the main issues with usual banalities and China made no substantive concessions. However, we gave away many of our paltry bargaining chips. Air India was made to rename Taiwan as Chinese Taipei; then Dalai Lama’s ‘Thank You India’ programme was shunted out of Delhi and lately we have all but abandoned the Quad. Meanwhile China remains intransigent on the border dispute; has bolstered Pakistan’s Navy, and Air Force with major weapon systems and continues to foment trouble in Sri Lanka. The April 2018 Modi-Xi Wuhan summit was followed in May by another between Putin and Modi. With the Chinese hurting from the American tariff-war, Wuhan was impelled by their desire to cover their Indian flank. Sochi, on the other hand, was driven by Russia’s concern over India getting strategically close to US by concluding three military agreements. For its part, India is worried that hostile US actions have pushed Russia closer to China and Pakistan. Russia had recently supplied attack helicopters to Pakistan and held a joint Army drill with it. The Sochi summit reiterated that the two nations enjoy a ‘special privileged strategic partnership.’ However, despite India, defying US CAATSA to purchase five $5.43 billion S-400 air-defence systems, ships and rifles; uneasiness remains with converging Russo-Pak interests in Afghanistan (along with China). Pakistan has also expressed interest in acquiring Russian T-90 tanks that Russia has not refuted. Meanwhile, Trump has announced his decision to quit Syria, leaving Kurdish allies in the lurch and giving much-needed respite to ISIS. Next he announced a major force-reduction in Afghanistan. Both these decisions pose grave security concerns for India which has supported the Afghan Govt with billions of dollars worth of infrastructure; capacity building and other aid. The fillip to ISIS and return of Taliban to Afghanistan spell big trouble for us in J&K and the hinterland. This comes even as terror strikes and border hostilities with Pakistan have spiked. From a security outlook, and even as the nation remains engrossed in pre-election shenanigans; 2019 has begun on a worrisome note. Rising inter-caste and communal social tensions, aggravated by joblessness is evident. 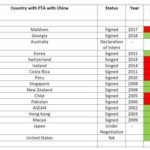 This not only invites adversaries to fish in troubled waters, but also adversely impacts business confidence and foreign investments. ISIS and terrorists, freed from the Middle-East and Afghanistan, can exploit this turbulence to gain a foot hold in the country and recent NIA successes point to the clear and present danger in this regard. The ‘hollowness’ in the Defence Forces, precludes many pragmatic diplomatic options, compelling us to remain a diffident, defensive power. More important, it encourages adversaries to take more extreme positions to deny us any strategic advantage. Chinese intransigence on NSG, despite US tariff war and hostile manoeuvres, is a case in point. So is its blatant disregard for our sensitivities regarding CPEC alignment. As regard the neighbourhood, Hindu Nepal, has been pushed firmly into China’s orbit. Bhutan has been alienated and remains uneasy over India’s hesitant and often muddle-headed policy. Advantage China! Pakistan is being armed by China to a point where it may soon achieve conventional edge in military weaponry, especially air power. Sri Lanka’s Govt take-over by a China-supporter was prevented only at the eleventh hour by its Supreme Court. Myanmar is firmly in the dragon’s grip and only Bangladesh remains favourable to India even as China has invested nearly $40 billion in infrastructure projects, many as part of its BRI and Maritime Silk Road initiatives. Internationally, the situation is worrisome on several counts. Foremost is the threat posed by greater China-Pakistan collusion and hostility, invigorated after PM Imran’s election. Next, USA has pulled out from its fight against global terror. Even though ISIS may have lost its Caliphate, the organisation retains its menace. It poses a significant threat to us given its stated hatred of ‘Hindu India’. This threat would get exacerbated once Taliban gets its imminent foot-hold in Afghanistan. Kashmir would be particularly impacted. Finally, US hostility has pushed Russia, China and Iran into an Asian Alliance. 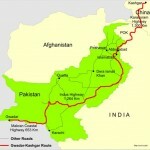 With impending US pull-out from Afghanistan, all of Central Asia would be drawn into an expanded SCO. India is a member of SCO and is also central to maritime security in the Indo-Pacific. Our security imperatives would thus be torn between conflicting commitments – a minefield which will be problematic for our timid and muddled diplomacy. Effective corrective steps can commence only after the new Government is elected and settles in. Maj Gen Pushpendra Singh, former GOC, MPB&O Area. Having not done much, if anything, in the past 4.6 years to drive away all infiltrators, Amit Shah said yesterday at a political rally in Contai, West Bengal that “if elected to power the BJP will ensure that all infiltrators are driven away from W.Bengal”. How much more rope should we give these goons to hang themselves? Excellent point made by exposing the hollowness of India’s statecraft as “Air India was made to rename Taiwan as Chinese Taipei; then Dalai Lama’s ‘Thank You India’ programme was shunted out of Delhi. “. It reminds of Hindi-Chini Bhai Bhai. 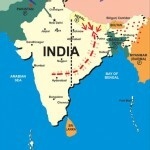 Up until now, South East Asian nations have been looking up to India to challenge China’s hegemony. But that will not be the future to reckon with. Very well written… Gr8 analysis covering neighbour countries , rest of world and domestic issues.. Law and order and increase in population of “ bottom 60 % “ is major concern along with increasing traffic on roads.. Impressive thoughts expressed in logical way reminds of his other writings incl the book “ The Hawk Hunters “ , which I consider a must read to enjoy and understand what our community went through. Best wishes my friend .